Quick on the Draw! 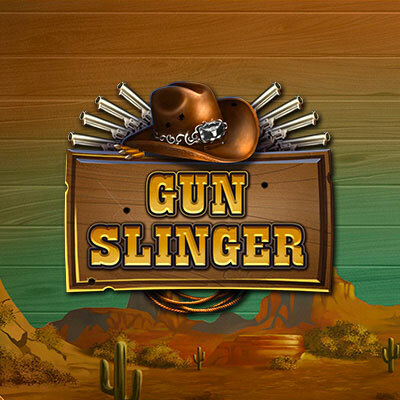 The Gun Slinger has ridden into town looking for the loot in this Wild West themed slot. Shoot it up in the epic Free Games features, picking a symbol which will bring your the big rewards!